In light of this year’s 500th anniversary of the Protestant Reformation, many have reflected on the significance of Martin Luther. The fiery monk turned reformer, is well-known for his protest of the Roman Catholic Church, his establishment of Lutheranism, and his contribution to protestant orthodoxy. In Counseling Under the Cross, respected counselor Bob Kellemen, demonstrates that Luther was also a keen pastoral counselor. As this volume points out, Luther is actually a wonderful model of gospel-centered counseling. Bob continues to show the breadth of his skill with this latest volume. He remains an important contributor the continued development of Biblical counseling because he is a skilled practitioner, an informed professor, and a competent theologian. With Counseling Under the Cross he adds discerning historian to his growing resume. Part historical analysis and part methodological guide, this book sits as a truly unique tool in today’s market. Kellemen bridges a gap from history to current practice with this book, providing readers both methodological principles and case studies throughout. 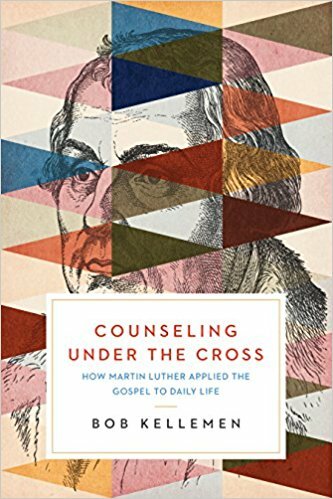 Readers will be both blessed by Luther’s example and guided in their own counseling practice. On the one hand, the book will broaden a reader’s appreciation and knowledge of Martin Luther. Far too often the conversation around Luther is shallow and reductionist. We focus all our attention on Luther’s big epic battles with the Pope, or his congeries of debates, or his prophetic and defiant publications. Even in these matters we tend to focus on pre 1525 Luther, reducing the man even more to a shallow representation of his true self. Kellemen aids us by expanding our vision of Luther to include his role as an intimate, deep, and prolific counselor. He was, first and foremost, a shepherd of souls. Kellemen demonstrates this with both great skill and great depth. Readers will find in this volume copious examples of Luther’s counseling, with direct quotations from his many letters. The author shows himself well versed in the primary and secondary literature on Luther’s pastoral counseling. On the other hand, the book will provide a map for contemporary counselors. Luther’s counseling practice is used to build an entire framework of gospel-centered counseling. Readers will find much here that parallels what Bob has written elsewhere, particularly in his training manuals (Gospel-Centered Counseling and Gospel Conversations). Through Luther we learn a four-fold model of counseling, which focuses on both suffering and on sin. Kellemen, utilizing Luther, teaches readers how to provide (1) sustaining, (2) healing, (3) reconciling, (4) and guiding care for those who suffering and who sin. It is a thoroughly comprehensive model developed from within a historical/biblical framework. The book is broken down into two parts. Part one focuses on Luther’s own historical context. Here we get a brief, focused, introduction in the biographical details of Luther’s life. The first two chapters demonstrate the influence of Luther’s own personal struggles on his development as a pastoral counselor. Those versed in Luther studies will find familiar stories recounted here, but they are told through a different lens and therefore have the potential to strike the reader differently. I would not skip these chapters, even if you already know Luther’s bio. Part two, in turn, shifts towards the “shape of Martin Luther’s pastoral counseling.” In the remaining eleven chapters Kellemen develops the four methodological approaches, providing both a theological foundation for each and a methodological guide. This is a truly unique tool. Those interested in learning more about Luther will find a new emphasis on an important figure. Those interested in counseling will find a great framework for approaching a diversity of problems. Those interested in the gospel will find a wealth of meaningful application to their lives. This is a volume rich in historical knowledge and profitable in counselor training. I highly recommend Counseling Under the Cross, especially to counselors and pastors. Personally, I think it’s Bob’s best book to date.